There is a vertical supporting wedge in the upper side, I guess I can nail directly onto it, but what I should do about the lower side? The floor joists are rotted in that particular area. It could be the same all over. 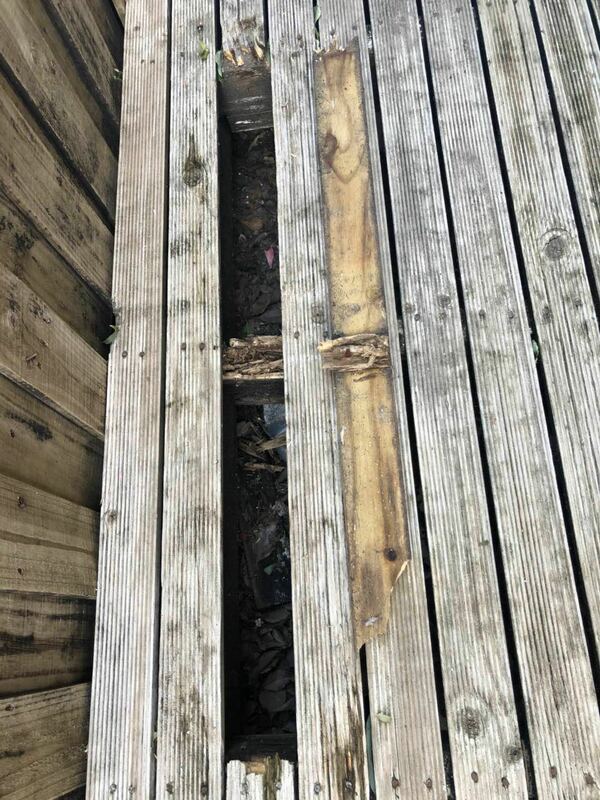 The only thing you could try is to remove some more of the decking and "sister" the joists (Nail a second joist alongside the old one). This will give you some new area to nail your decking. You might be looking at replacing this deck in the near future. If all of the joists look like that, someone could get hurt. Not the answer you're looking for? Browse other questions tagged hardwood-floor or ask your own question. How to raise a wooden floor to same height as adjoining concrete floor before carpetting? Vertical gap between wooden floor and baseboard trim: how do I fix that gap? Furniture pads for furniture legs…always comes off, how to remedy this?